Alright, you are finally approaching that interior demolition you have been dreaming about. You’ve always wanted to knock down a wall with a sledgehammer right? It’ll definitely feel good once you have done it. Along with the awesome feeling of tearing down your house and renovating it from the inside, comes with the hardship of cleaning up afterwards. It’s like throwing a party you don’t want to pick up for afterwards. Whether you want to or not, cleaning is part of remodeling, and the best way to approach this is by renting out a dumpster. If you are in the Denver metro area, we have tips for you for renting out a dumpster, and how beneficial it will be for your project. The city of Aurora is the third biggest city in all of Colorado and lays just off the eastern border of Denver. They’re many things that Aurora is known for. In fact in 2004, Aurora was listed in the Top 50 cities for exceptional involvement in development and facility all sports. Since then Aurora has been home field for over 30 national sport tournaments annually, with many professional sport athletes making their name known in this very place. With so many sports activities happening, it’s not uncommon to have to get a dumpster rental to load up all your trash after a winning celebration at your home. Sports tend to lead to lots of trash lying around, and packing your everyday trashcan to the very top isn’t the right solution. 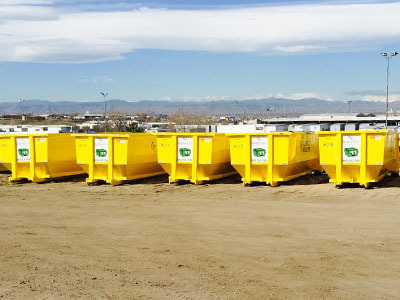 We have tips for you when looking to rent a dumpster in Aurora, right off the city of Denver. 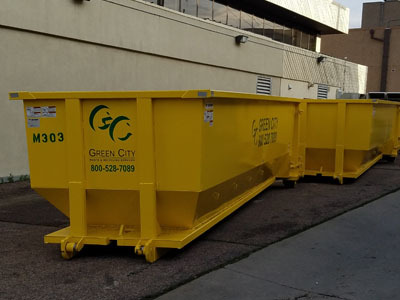 Getting a dumpster rental is probably the best decision you can make when starting your home or commercial renovation project in the city of Denver. Renting a dumpster can prove advantageous, as it gives you space to throw out all your junk as well as save you time having to make trips to the city landfill. Here’s some tips that will help you when getting a dumpster rental. Getting a dumpster rental comes with many different questions. What size do you need? What exactly can you throw away in it? Where can you get the best dumpster rental? All of those questions lead you to here, Green City Waste & Recycling. We want to answer your questions, and give you the facts about dumpster rentals in Denver. Typically, people who rent dumpsters need it for a major project. Whether it be trashing all the junk laying around your house come Spring Cleaning, or ripping out your 30 year old kitchen, a dumpster rental is for you. Many get stuck on how big of a dumpster they actually need to get rid of all their waste. In this situation, bigger is not better. A 10 yard container should be more than enough room to get rid of most residential junk, but if you really need more space, then a 20 yard dumpster will work fine. 30 and 40 yard containers are built for commercial projects, such as construction projects. You don’t want to have an empty feeling when you see you only filled a quarter of your 40 yard container taking up your entire driveway. Being smart about what sized container you need will save you space, time and money. Thinking about all the waste that’s going to pile up come the end of the holiday season? Whether its gift wrapping paper, old and busted decorations, or trash left over from any parties, it will not fit in your already full trashcan. 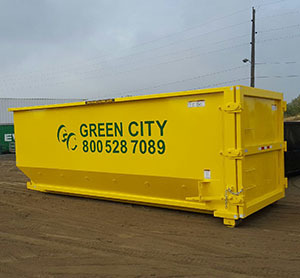 Skip the extra trash bags stacked in the backyard, Green City Waste & Recycling in Denver offers the perfect solution for your waste disposal needs - a dumpster rental! Here are tips for renting out a dumpster for the first time.